This is the method I'm using. I'm not recommending it to anyone, I'm just delineating my methodology. After I got frustrated with counting the grains in a capsule (because the numbers weren't the same from one capsule to the next), I bought this: Gemini-20 Portable Milligram Scale http://www.awscales.com/portable-precision-scales-01-gram/75-gemini-20-portable-milligram-scale I chose this one because it weighs down to milligrams, I found it at a good price on Amazon, and the shipping was free. Anyone who wants to weigh dosages will need to be able to weigh milligrams. And I have a face mask like they were giving out during the bird flu scare. My first step was to weigh the grains in several capsules. They all weighed the same amount. So I divided that number in half (because right now all I'm doing is breaking 60mg capsules down to 30mg--the dosage I'm supposed to be on). First I put the electronic scale on the tray and calibrate the scale. The instructions for calibrating are included with the scale. Then I put on my face mask, stick an empty capsule half in the eyedropper top and put it on the scale. There's a tare button on the scale that will remove that weight from the display. Then I open a capsule and pour in some grains. The number I'm looking for is 115, so I stop anywhere between 100 and 110. After that I use tweezers (that come with the scale) to add grains. It's very important to do this on a level surface, and to calibrate the scale each time I start. Because the scale weighs to such small amounts, even breathing on it can effect the weight, which is why I wear the face mask. The numbers will go up and down for a few seconds, but once it's stabilized and I'm at the right number, I turn off the scale, take out the capsule, make sure there aren't any grains on the scale itself (I have missed getting them in the capsule), and snap on the other end. The reason I turn off the scale is that it has an auto-shut off feature, which I find annoying. If I don't turn it off, I don't have time to do another capsule before it shuts itself off. If anyone has questions, feel free to ask! I took pictures of my other equipment in case my descriptions weren't clear. I'm planning on buying a new tray, since there's a lot of white on the one I have, and those tiny, bouncy grains are white. Camouflaged little creeps! 1) Let the scale stabilize on a hard, flat and level surface. 2) Make sure the sample tray is properly seated inside the circular indent of the scale's metal measuring platform. Take care that the sample tray (as provided) does not touch the body of the scale, grossly throwing off the measurement. 3) Tap the table that the scale is on to help everything settle. 4) Calibrate as described in the manual. 5) Place and remove materials to be weighed consistently and carefully - don't drop them. Even the slightest impact can throw off the measurement. 6) Wait for ten seconds or so for the sample to settle. 7) For minuscule samples, use the ten gram weight in addition to the sample to put the scale in the middle of its operating range. With a little care, one will get closer to the performance of a lab-grade milligram scale than anything else for this price. 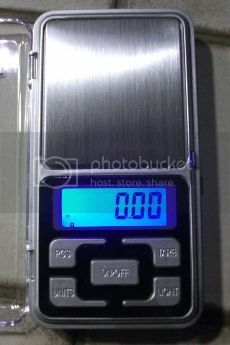 Another reasonably priced digital scale that measures milligrams is the Grobet Precision Pocket Scale 10g x .001g Model 50.303, for about $55 here. I don't know how accurate or easy to use it might be. It's for weighing precious stones. You will find, when you weigh a tablet or capsule, that the weight in milligrams is more that the dosage in milligrams. A 25mg tablet of Effexor weighs more than 25mg. 25mg means there's 25mg of active ingredient in the tablet, it's not the weight of the tablet. All tablets and capsules have filler in them, that's why they weigh more on the scale. Use a percentage, as Jole does up above, to calculate how much to take by weight. For example, if you want to take 10mg of Effexor, it would be 40% of a 25mg tablet by weight (10 divided by 25 = .40 or 40%). Multiply the percentage by the weight of the whole tablet. If the tablet weighs 100mg before you cut it, you would want to 40% of it, or 40mg by weight. A lot of people would crush the tablet into powder so they can measure these fine gradations in weight. Nice big gelatin capsules (sizes 00 or 0) will help you deal with the powder. Comparison picture with measurements The capsule size doesn't have to be the same as your initial capsule of medication. Unless you have the fingers of a pygmy loris, it's easier to handle the larger capsule sizes and get the powder into them. Question: I would like to take 70mg of Effexor, which is 5 mg less than the 75mg I am now taking. How would I calculate the scale weight of a 70mg dosage to be taken from a 75mg tablet? Answer: It's easier to calculate weight by using a percentage. Use a desktop calculator or the calculator on your computer. 1. Determine the percentage of your current dose that you want to take. If you want to drop by 5%, you'll be taking 95% of a tablet. If you want to drop by 10%, you'd take 90% of a tablet. In this case, 70mg is 93.3% of 75mg (70 divided by 75), or a decrease of 6.67%. 3. Let's say your tablet weighs 105mg. Multiply that by 93.3% and you get 98mg, which will contain 70mg of Effexor. 4. Weigh out 98mg with your digital scale. Keep extra tablet fragments in a clean medicine container, labeled with the dosage (example, 75mg). You may wish to use them later when your doses get smaller. Question: How can I convert between grams, milligrams, etc.? I have ordered some scales. I just want to see what people think of my idea for weighing. 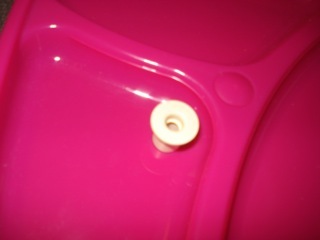 I can't put the beads back in the capsule have tried that and it is too tricky. 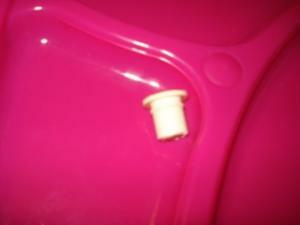 I currently take out 134 beads, there are around 292 in a capsule. Some of the beads look stuck together some look like pin pricks. I work this out to around 16.2mg as 10 beads =9.73mg. or 1mg = 9.73 beads, my mind wont work right now but I've worked it out loads and had it checked at the beginning. I intend to weigh 134 beads and see what they weigh, i will do that each day for a week, then i will average out what this comes to. My intention is to then use this weight (not beads) as an indication of what to remove each week. I am worried that as I am getting lower the inaccuracy of fillers etc and ingredients is showing up, more and more, hence the worsening of symtoms. I might need some advice when they arrive even after all the reading on here. Just wanted to note: Get LARGE gelatin capsules (size 000 or 00), they will be easier for you to handle and to fill. You only need to fill them part way. Someone has contacted me because they are wanting to taper off Prozac by breaking open the capsules and weighing the powder, doctors won't prescribe liquid and we've been through all the options for this. Can anyone recommend some accurate scales? she has already ordered one set of scales which turned out to be useless. This friend is in the UK not sure if that will make a difference, if it's something off Amazon it'll be fairly universal I would think. OK so I hope someone can help with this one, a friend is embarking on breaking open Prozac capsules and weighing the powder. Her first cut is 39mg, her scales measure in 0.000g. What should she be weighing? You wouldn't weigh the capsule, you'd throw it away before taking the fractional dose. Weighing it would confuse the calculations. A liquid preparation is somewhat easier to use. What do you use to transfer tiny bits of "pill-powder" from the scale to the capsule? I cannot afford those scales mentioned and would like to know, would a cheaper scale that measures 0.001g be sufficient? When the batteries run out on the scales, so they start deteriorating, or do they just switch off? 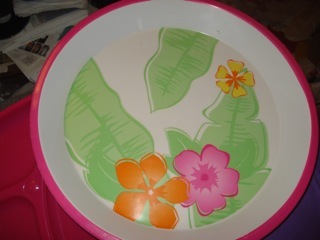 I use the very small cup cake or candy cups that you can get in most grocery stores. You have to zero the scale with the cup on it to be the most accurate. this scale has an accuracy of 1mg, and this is what the manufacturer says. for dealing with doses of 10mg or less, you'd be off by at least 10%. At 5 mg you'd be off by 20%. See http://survivingantidepressants.org/index.php?/topic/1596-using-a-digital-scale-to-measure-doses/page__view__findpost__p__13379 for calibration tips. I have tested all of the surfaces in my home with a carpenters spirit level, and none of them are level. Does this mean that scales are not an option for me? Also, according to http://www.drugbank.ca/drugs/DB01224, seroquel is only moderately soluble in water, does this mean that the water method is not an option also for me? If both of the above are not an option, how will I taper my seroquel? it's in grams so if I need, say 1 milligrams, what do I look for on the scale? is it 0.01, or 0.001? Annd half a milligram? a wee bit 'fick' lol. mammaP, I moved your post here. Do you have a manual for your scale? If each major division is 1mg, a half-milligram would be .5mg. What kind of scale do you have? Can you post a photo showing the divisions? the last few days and I couldn't find this post! The scales are Mercury. and it was the empty shell that was to hand. I'm going to stick to 3 beads for a while then try make liquid for the next drop. I have no idea what this is. I can't find a Mercury digital scale via Google. This may be measuring in grams, which won't be accurate for milligrams. It measures in grams. Depending on what MammaP is trying to accomplish it may suffice. That's the one, it says 0.05 minimum load but after that goes up by 0.01. Am away for a week now so will play with it when I get back. Thank you. Graduation 0.01g means it measures to 10s of milligrams. You cannot get an accurate measurement of anything less than 10mg with this scale -- not even 27mg, it will read it as 30mg (nearest tens of milligrams). 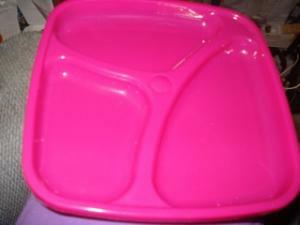 Alto: Another method for weighing higher in the scale range is to put a coin under (or in) the plastic pan. It's somewhat easier to handle, and so less likely to fall and damage the balance, than are the 10 g calibration weights. Also, if you can get even 5 min. access to an analytical balance you can weigh various sized pieces of Al foil and have a set of reference weights to check your accuracy at 5 points, like they do in commercial labs. But they don't use foil. Not sure if the answer is here and i just missed it--how do you know to what decimal place to take your measurement of 10%? Like, I'm at 70mg doxepin, so eventually will I need to take the dosage out to the .001mg? or when do I round down/up, or does this depend on how I do? Abella, keep on figuring a 10% reduction on your last dosage. You are right, this will result in fractional amounts. Round UP on the dosage so you will be making a smaller decrease rather than a larger decrease. Depending on how you measure the dosage (digital scale, oral syringe, etc. ), you may be able to measure the dose to hundredths of a milligram (0.01mg). You would round UP from a calculation in the thousandths (0.001mg). If you cannot actually measure your dose to hundredths of a milligram, round UP calculations of your dose to tenths (0.1mg). that takes the measurement, is the small tray included? How do you physically weigh a plastic plate on an indented scale that is not able to weigh the plate itself? Do I have to balance the plastic plate on the metal mini tray that comes with it? I have to repeatedly keep pressing tare to weigh the metal tray to zero. So my question is, Is there a better way to weigh the beads when the weigh scale keeps turning itself off all of the time? (especially when the scale keeps turning off and I have to keep pressing the tare button to reset an empty plate back to zero! 4) When you use the eye-drop container to hold the empty capsule, do you have to cut out the drip part of the eye-drop container so that it can rest evenly on the plastic plate? If you read the Amazon comments http://www.amazon.com/American-Weigh-GEMINI-20-Portable-MilliGram/product-reviews/B0012TDNAM, you will see detailed instructions for calibrating. It seems JoLe was filling the capsule with beads as she was weighing. This is not necessary. 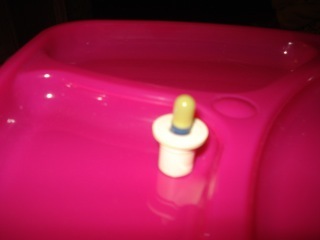 You can weigh the beads separately, then put them in a capsule. You don't need to weigh the empty capsule. You probably will have to figure out a way to keep the beads from rolling around on the platform. Someone previously mentioned in a thread a sort of tiny spoon for scooping out some beads in a capsule, but I can't find that info anymore. Can anyone tell me the name of this kind of mini-spoon? Say I'm at 5 mg. And I need to reduce by 10% down to 4.5mg. Or .0045 grams.how can you measure it on the scales above that only go to .001 gram incraments. They only measure to the nearest milligram not 1/2 milligram required. Reduce by the lowest thousandth, in your case, .004 grams. If you want to use a scale to measure your doses you need to find the average weight of the pill you are using. I weighed a whole bottle of pills (30), then added up all the weights and then divided that number by 30 to find the average weight of one 20mg pill, which for me was .350g. I have been using this average weight for my entire taper down to where I am at now 5.9mg. Let's say you are using 10mg pills that weigh an average of .150g. 5mg would then weigh .075g. If you want to reduce by 10% then take a calculator and type in .075-10% and that will give you the weight you need to shave down to. It sounds complicated but is really easy once you get the hang of it. I've been doing the scale method for years with no issues, and I am pretty sensitive. Thanks, Ladybug. That sounds like it would work well for tablets rather than capsules (the weight of the gelatin capsule itself might confound the percentages). The tablets are weighed without the bottle, of course! Good point! I suppose with capsules you could dump all the powder out of one capsule to get the general weight of the gelatin capsule by itself and then subtract that weight from each pill weight. I also forgot to mention I did not weigh the whole bottle at once, I weighed each pill one by one until I had weighed the whole bottle and then added up all those weights and divided by 30 to get an average weight. The pan on the scale is far too small to weigh 30 pills at once.